 A fat pancake of a novel, the author's second hardcover production tells the life story of one Ruby Blue--from an abused childhood and youth, to years as wife of a Marine, personal liberation, life in the world of industry, and her golden years in a rural retreat. Throughout the career of Ruby Blue, monster men abound. There's Papa George in their Pennsylvania home, a slasher, smacker, and wife beater, who requires that his daughters repay him, in bucks, for the cost of raising them. Then there's Ruby's husband, Andrew (met in those WW II glory days in D.C.), who is heavy on the verbal abuse and generally amoral. Ruby's lifelong friend Dixie is regularly slugged mercilessly by husband Hugo. Ruby's longtime true love, Calvin, is a gentle soul, but his wife, Eva, is as lethal as the men; fortunately for Calvin, she lacks the biceps. Ruby weathers life with Andrew at Marine bases and puts up with his callous treatment of their two children, but after Andrew admits to having gambled away their son's college money she finally decamps to New Jersey. Ruby soldiers on with Dixie, and their kitchen cookie business goes international in no time. As for the men, they'll get theirs: Papa George is Bobbittized with scalding grape jelly; the late Hugo's ashes get lost in traffic; and Ruby dumps Calvin. But Andrew sees the light. Glop. 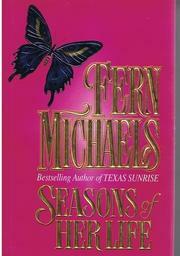 However, bear in mind the author's smashing success in paperback, including her Texas saga (5 million sold).